Welcome to SPARK Baltimore, a collaboration between Greenmount West Association and Baltimore Rock Opera Society benefiting the Greenmount West Community Center. 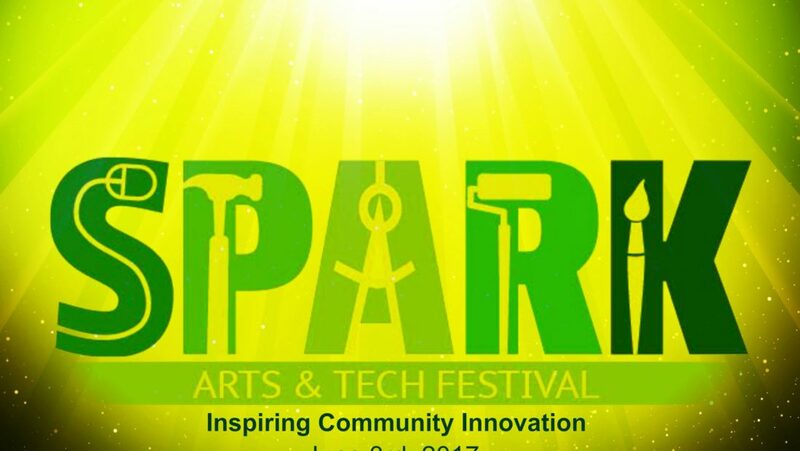 The Spark Arts & Tech Festival is a community inspired festival for arts, tech, and maker enthusiasts taking place on June 3 in the Greenmount West Community from 3pm to 9pm. This event is filled with opportunities for artists, vendors, and business sponsor opportunities. The day will include a mixed schedule of art demonstrations, educational workshops, art exhibitions, short film presentations, and tech and maker interactive gaming to increase community engagement in the arts. Located in the Station North Arts & Entertainment District, the Greenmount West Community is filled with local creatives, artists, and makers who seek to showcase their work. The Greenmount West Community is also home to several art spaces, businesses, and schools such as Open Works, Station North Tool Library, City Arts & City Arts 2, and Baltimore Design School. The Greenmount West Community Center is located within the vibrant Greenmount West Community in the heart of Station North Arts & Entertainment District. The center has a focus on youth engagement and community programming serving as the hub for creative development, academic strengthening, STEM programming, performing arts, entrepreneurship, sports, and health & wellness. Baltimore Rock Opera Society (BROS) is a community of passionate artists that has been producing live original works of rock theater since 2009 and has been based in Greenmount West since 2013. BROS is excited to provide a performance stage at the SPARK festival where community performance artists will be featured in a curated open-mic. The theme for SPARK 2017 is a focus on the repurposing of discarded, underappreciated, old or unused materials and resources to SPARK a rejuvenation of community creativity, community innovation, and to re-inspire our collective sense of purpose. The mission for SPARK 2017 is to attract youth to the benefits of technology, making, and the Arts through innovative & interactive learning experiences that underscore the importance of purposeful community life. We strive to create and inspire the cultivation of new meaningful experiences that all will enjoy. Arts: The festival will include a variety of Art exhibits, demonstrations, and performances in the form of paintings, sculptures, wood making, glass making, and other visual art components. Arts should be visually engaging, original and be open to touch or showcase. Technology: Robot obstacle course, drone racing, and gaming. Performance Arts: The Baltimore Rock Opera Society (BROS) will host a music and arts collage of spoken word, musical showcase, dance, & cypher – a staged creative stimulation of the senses. Get ready to excite your senses in sound, sight and emotion watching performances of artists, musicians, poets and more.